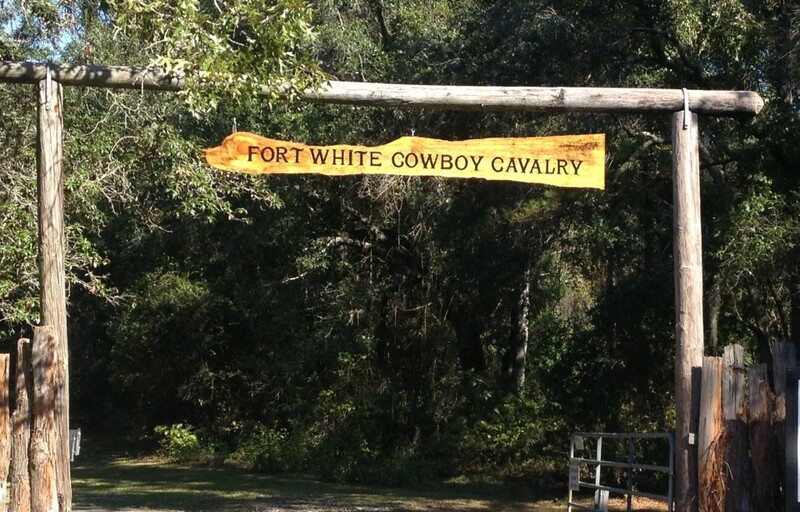 The Fort White Cowboy Cavalry is part of the Fort White Gun Club Inc, in Fort White, Florida. Fort White is 25 miles northwest of Gainesville, Florida on US 27 & Florida State Route 47. Range address is 18808 Highway 47, Fort White Florida. The Cowboy Cavalry is a SASS affiliated Cowboy Action Shooting Group. Our goal is to promote the sport of Cowboy Action style shooting with safety above all. Next is the “Spirit of the Game” sometimes called “the Cowboy Way” which is good sportsmanship, friendliness & willingness to help your pards. Last, but by no means least is FUN – we want you to have a good time! Our Cowboy Action Range is for Cowboy Action Events. Our monthly match is the 2nd Saturday of the month, six stages rain or shine. Sign up – 8 a.m.
Fee is $10.00 for FWGC Members – $12.00 Non-Members.